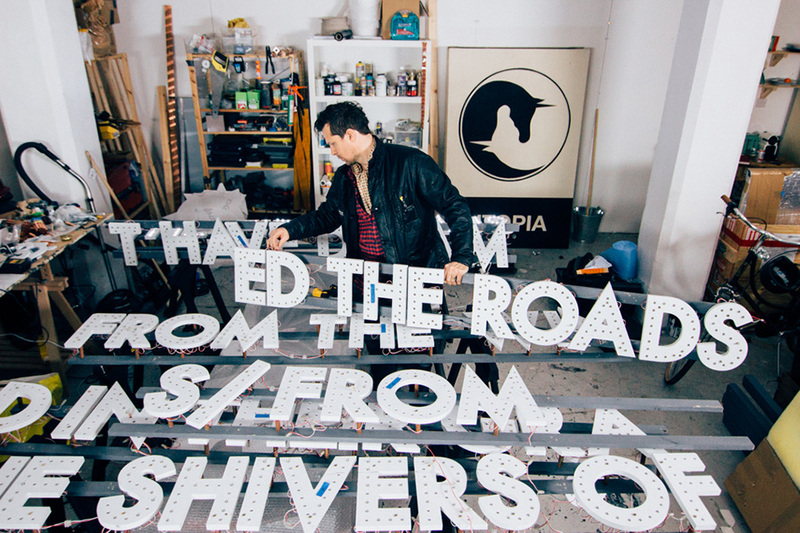 cottish artist Robert Montgomery follows a tradition of conceptual art and stands out by bringing a poetic voice to the discourse of text art. 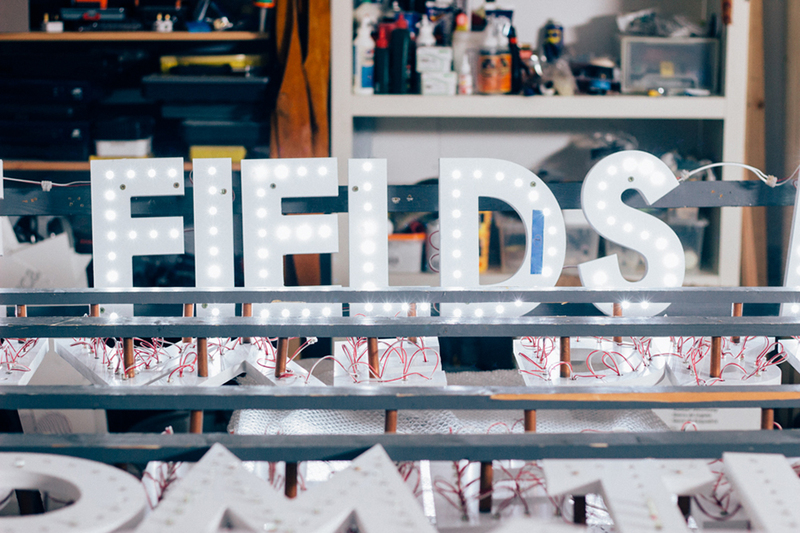 Best known for presenting poetry in large-scale installations, he has created a ‘fire poem’ for Edinburgh Art Festival (letters were crafted from oak and set alight) as well as light poems for De La Warr Pavillion and an airport in Berlin. 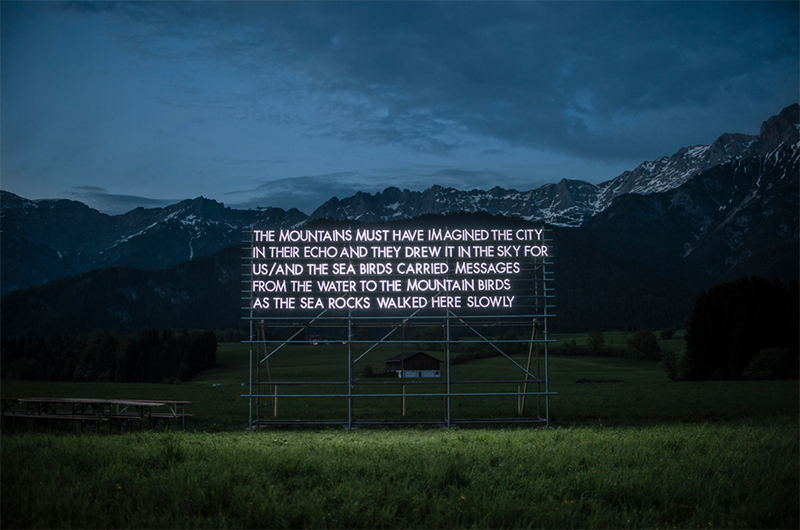 Montgomery creates billboard poems, light pieces, fire poems, woodcuts and watercolors and he was the British artist selected for Kochi-Muziris Biennale 2012, the first Biennale in India. 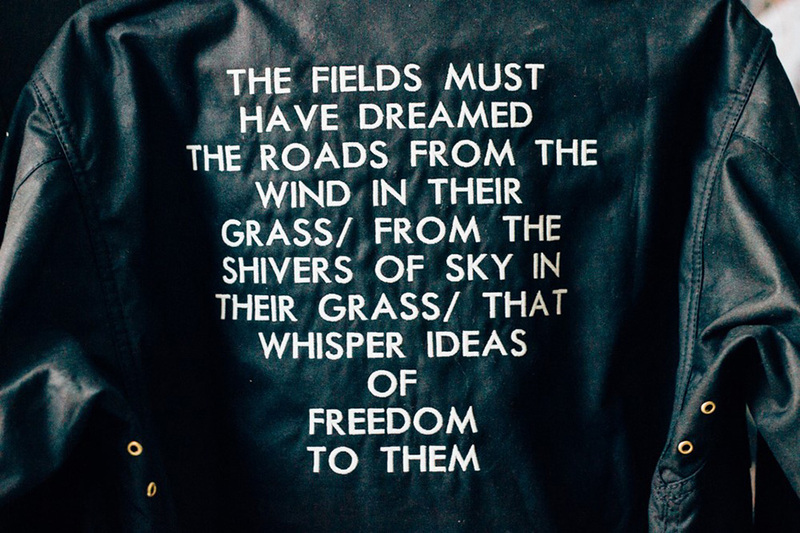 Now he is entering the fashion industry through a typographic collaboration with Barbour International. 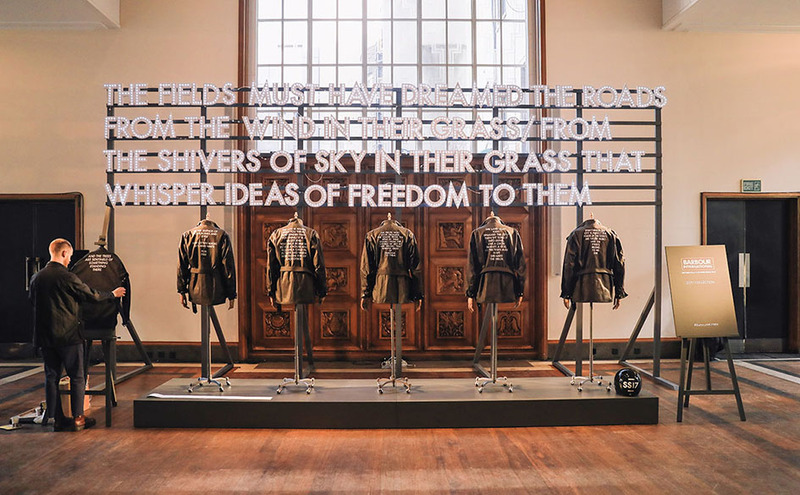 The fashion house recently commissioned Montgomery to create a light poem for its debut presentation at London Fashion Week Men’s, which took place at RIBA. 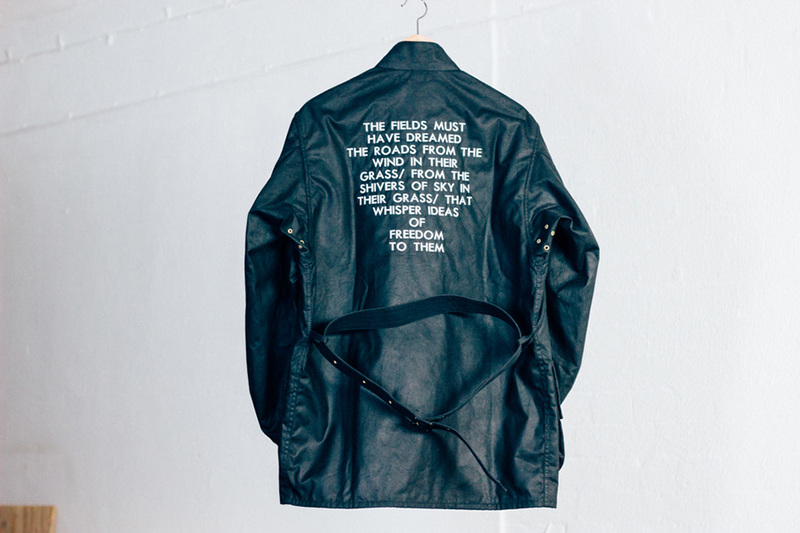 Montgomery's sculpture formed the backdrop to the show and is also featured on a limited edition run of the brand’s A7 jacket which were sold at Selfridges after the event. 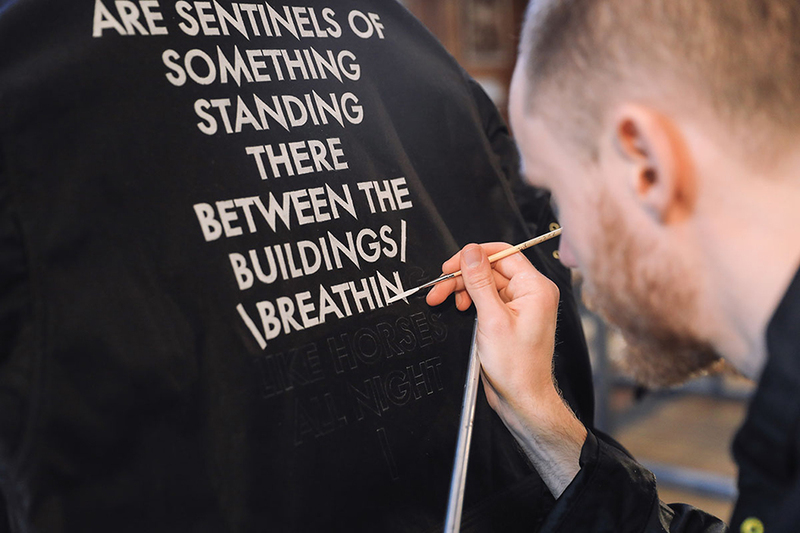 For his collaboration Montgomery’s letters were sewn on to the fabric using luminous thread, and hand-painted versions, (painted during the show), were given away via the brand’s Snapchat channel (@barbourint). Barbour interviewed the artist to find out more about his work and his vision, here are some highlights. 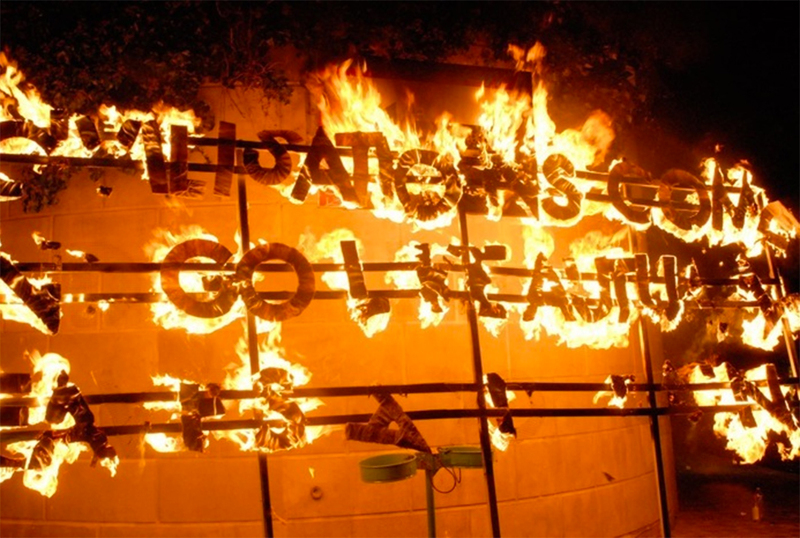 On how conceptual art changed his life: “The text art tradition that I come from goes back about 50 years really. There are iconic American text artists who are historically important like Lawrence Weiner and Jenny Holzer, but my first experience of text art was closer to home. When I was 15 I visited my local art gallery - the MacLaurin Gallery in Ayr, Scotland - and stumbled upon a Scottish Arts Council touring exhibition called The Unpainted Landscape. At the time I wanted to be an expressionist painter- like Egon Schiele or Edvard Munch. But what I saw in this gallery was a completely new language - the language of conceptual art.